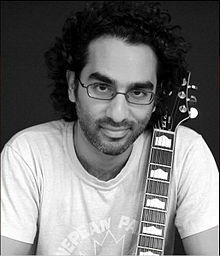 Award-winning composer and music producer Vikasd Kohil was the first composer to receive a Trailblazer Award from the ReelWorld Film Festival, as well as the first composer to receive a Voice Achievers Award. In 2011, he began producing events and arranging the music for these events. The 1st annual Bollywood Monster Mashup show created for the Indian International Film Academy (IIFA) awards in Toronto was attended by 15,000 people, with the 2nd iteration going stand-alone and matching the previous year’s attendance. In addition, the 1st annual Monster Rock Orchestra created for the Mississauga Waterfront Festival was attended by 20,000 people. Kohli is actively involved in the arts scene and has spoken at UNESCO, Trinidad & Tobago Music Business Conference, NXNE, SAC, CMW, Masala!Mehndi!Masti!, Nashville Songwriters Association, Hamilton Music Awards, Toronto Independent Music Awards, ReelWorld Film Festival, Small World Music Society, Culture Days, FILMI, Toronto FIlmmakers Club, Mississauga Independent Film Festival, Undercurrents, JyaFest Arts Collective, Canada Career Arts, Tin Pan North, Trebas Institute, Durham College, Toronto City Summit Alliance and the City of Mississauga’s Culture Division. He is a jury member for FACTOR, a member of the Screen Composers Guild of Canada and former advisor on the Arts and Culture Grant Assessment Committee for the City of Mississauga. He is also on the Advisory Board for the Blackwood Art Gallery and on the Board of Directors for the Art Gallery of Mississauga. Kohil received his Honors Degree in Mathematics & Philosophy from the University of Toronto, his MBA from the Schulich School of Business and his CFA.